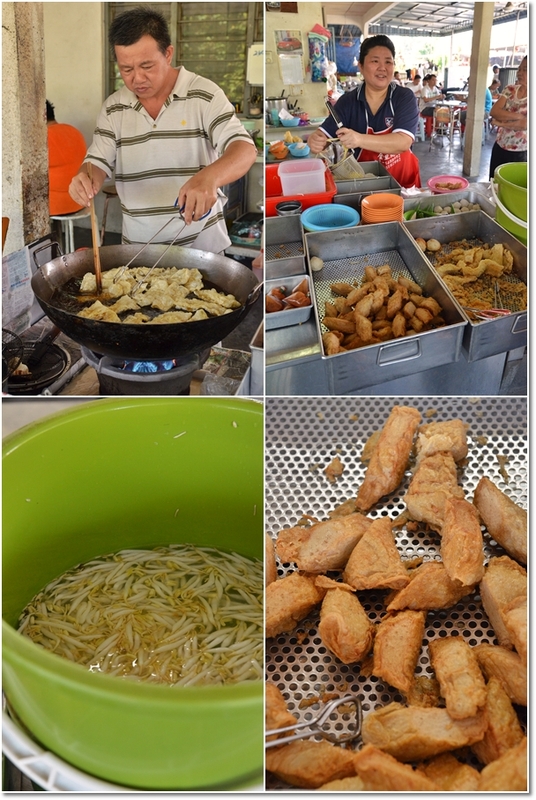 In Ipoh, we still believe in good quality, heartwarming hawker food like this ‘liew fun’ (fishball noodle) stall in Pasir Pinji. If anything, yesterday was one major milestone hit after another. Initially planned to post this for your reading pleasure yesterday, I ended up stashing this in Draft and went off on my routine and completing chores, plus a bit of quality evil-bashing moments. For one, this blog hits the 9 million views mark yesterday, and All About Ipoh Facebook page celebrated our 27,000 fans milestone yesterday as well. A big THANK YOU to each and everyone of you food lovers out there, especially hometown ‘kaki’s’ whom have been following my 1000+ posts since Mar 2008. Cannot thank you enough. 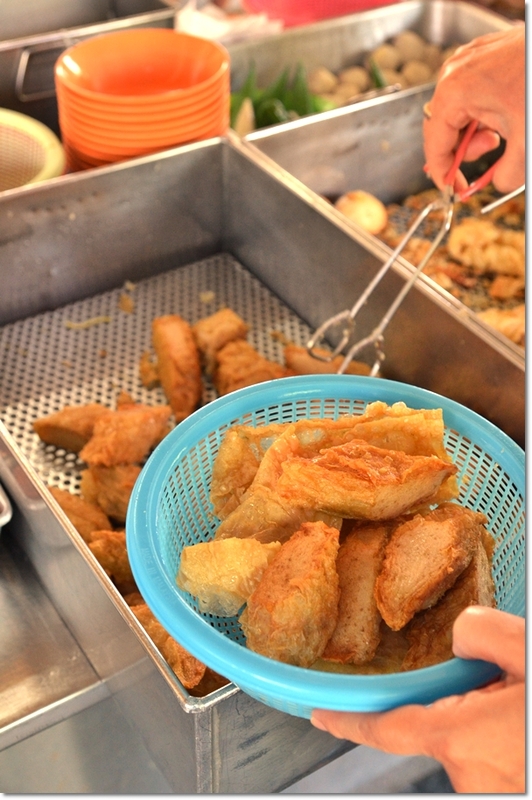 So in the midst of making one possibly life-changing decision, allow me to treat you to a relatively simpler post (but one that’s very-Motormouth) on a ‘liew fun’ stall that I grew up with in Pasir Pinji, Ipoh. Two decades have passed. The stall is run by the next generations now. Yet, you still get unadulterated sincerity, no air surrounding the entrepreneurs (if you can even call them that) at this corner house on Jalan Pasir Pinji 4. Short of being a long-winded grandpa, let me refresh your memories of my origin. 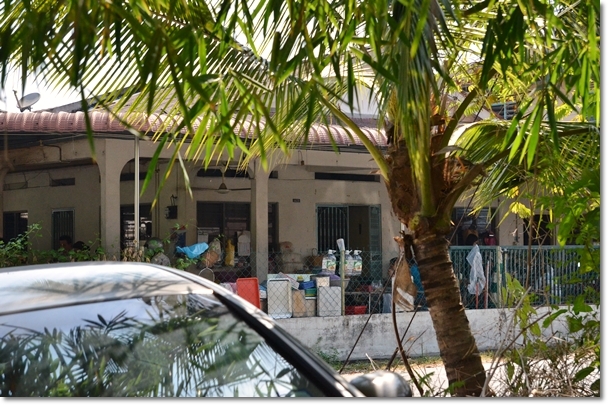 Our family used to occupy a corner house along Jalan Prince, at the border of Pasir Puteh and Pasir Pinji in Ipoh. And if the names sounded familiar, it’s because you might have read several reviews of Pasir Pinji food before, including the astronomically-successful Big Tree Foot (with the first outlet outside of Ipoh opening last week in SS2). And so, being this small kiddo with an enormous appetite, I remember vividly we used to patronize 3 stalls around the area for our breakfast fix of fish ball noodles, yong tau foo or ‘liew fun’. Whichever suits your fancy. Essentially, it’s a combination of noodles (your choice of noodles, cooked either in soup, dry, or in curry), served with your pick of yong tau foo (or we call them yong liew; meaning stuffed ingredients). All in all, a very DIY meal in some sense, but very comforting that you won’t mind having this even 3 times a week. Welcome to our Home. Literally. The earlier mentioned Big Tree Foot aside, there are two outlets that are nearer to our home. One being the corner coffee shop (used to be a shack) on Jalan Pasir Pinji with the Ais Sagu/Sek Lau Zhi stall parked outside, and this other corner house (that’s a stone’s throw away from our house, actually) we fondly named Ah Ping’s Liew Fun; referring to the lady boss’ name. 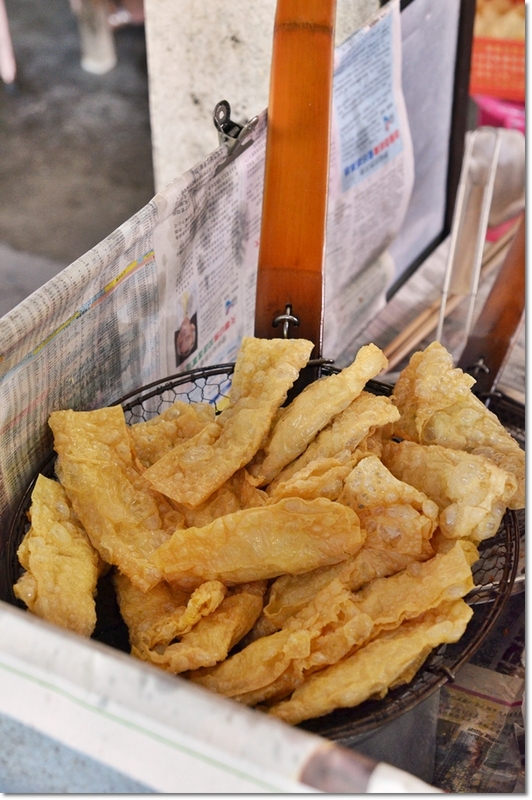 Freshly deep fried beancurd sheets or foo pei @ Ah Ping’s that go really well with the garlic chili sauce. While the majority of people will throng Big Tree Foot for their fried YTF (yong tau foo) fix, the wiser ones (at least within the neighbourhood la …) will come to Ah Ping’s place for a taste of theirs. Lesser crowd, yet top quality produce. 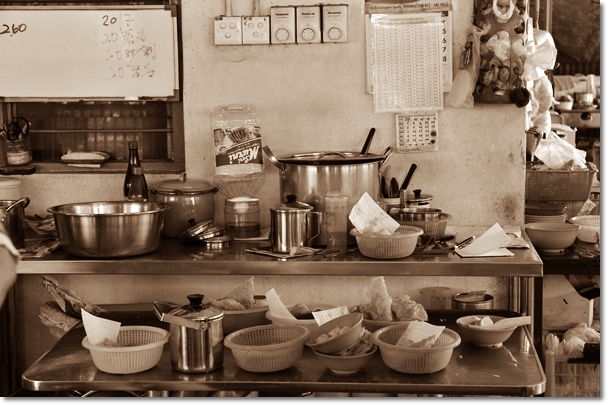 The YTF here are excellent; everything’s made in-house, stuffed freshly everyday and nothing’s on the leftover pile. Come any later on weekends and chances are you won’t even get to taste their signature Sar Kok Liew (stuffed yambean). I also have heard of rumours about Ah Ping being related to Big Tree Foot, and somehow she used to sell her items to the more tourist-y counterpart on a wholesale basis. No confirmation though, but the selection looked almost similar, yet lesser here at Ah Ping’s. Anyone knows more about this? Please share. 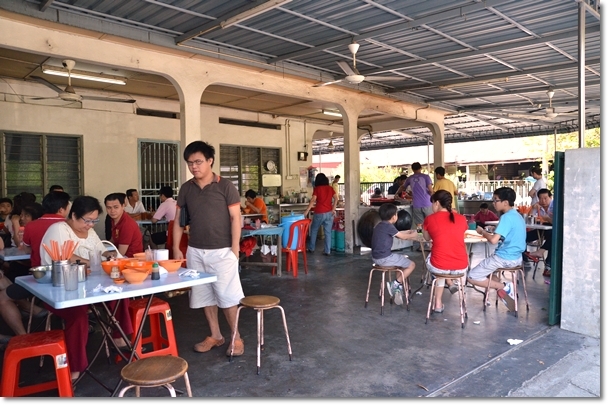 If you have never tried eating at people’s home backyard or compound before, then you must come to Ipoh. It’s relatively common here; the legendary Chee Cheong Fun stall a street away, and the Buntong ‘nga choy gai’ are good examples of such. RM0.70 per piece of YTF. Opens 7am onwards until everything’s sold out at about 10-11am. This house is a corner lot, on the parallel road to the Pasir Pinji Chee Cheong Fun house. Looks so delicious, my mouth just watering looking at these images! Looks so delicious, my mouth is just watering looking at these images! Hmm, Mouth watering. I have seen these sort of fried items in Dubai, UAE. I think people call them samosaaz and pakoraas. Outstanding blog and the food it defines I haven’t eaten but it looks delicious.I am not so sure about it but this is an Indian sort of dish namely samosa and I remember I found such kind of thing in Dubai but I didn’t taste it.But now I will go for it whenever I find it again. Throwing parties on luxurious yachts, spending quality time with dear ones, or being mesmerized by the ever-changing backdrops without any sort of hitch has never been easier. Lie back on a lavish yacht while immersing yourself in never-ending beautiful backdrops, sipping on delicious, complimentary beverages, and feasting on mouthwatering dishes in the company of your family and friends on serene water. It will be a once-in-a-lifetime experience that you will never forget.